January 5, 2018 — Stern PR Marketing is proud to be named one of the best Omaha SEO companies by UpCity. The designation as a Top Omaha, Neb SEO Agency earns Stern PR a spot on UpCity’s marketplace, an online business directory “resource designed to connect small and mediums sized companies” with a trusted “provider of high-quality digital marketing service providers” in Omaha, Nebraska. “It’s always nice to receive recognition for hard work and great results. We owe it all to awesome clients,” remarks Stern PR Marketing owner Susan Stern, an Omaha SEO company provider. 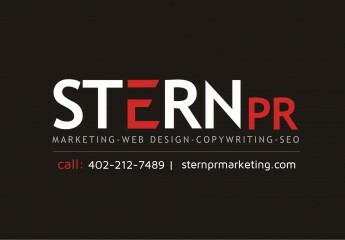 Besides offering a plethora of traditional and digital marketing services to organizations, Stern PR Marketing provides paid and organic search engine optimization services catering to the Omaha, Bellevue, metro areas. Yes. It’s done in-house. Organic search engine optimization (organic SEO) refers to algorithm-focused techniques used to achieve good website, listing and social media site placement for target industry terms people search without paying the search engines a penny. Organic means natural. Paid refers to pay-per-click and sponsored advertising. What sets Stern PR apart from competitors engaging in Omaha NE search engine marketing is our ability to write high-quality content on websites and social media with an authoritative voice and trustworthiness. Research plays a key role. We tackle any subject matter or industry. We manage brands online and off. “I’m able to explain complex subjects in easy-to-understand ways probably due to my work in radio and TV journalism as an on-air reporter, anchor and producer. Another reason why I am successful at achieving organic search results for clients, is my expertise in PR. I’ve penned countless news releases, annual reports, speeches, commercial scripts and more. Writing is my forte,” adds Susan. My view is that any search engine marketing company can learn how to run Google Adwords and sponsored advertising on social sites like YouTube, Facebook and LinkedIn. Few SEO firms, however, can actually write copy that search engines reward naturally, using Google’s best practices and guidelines,” said Stern. Stern PR is the one to call for complete marketing services, on and offline. For more info about Omaha SEO services & more, click here.